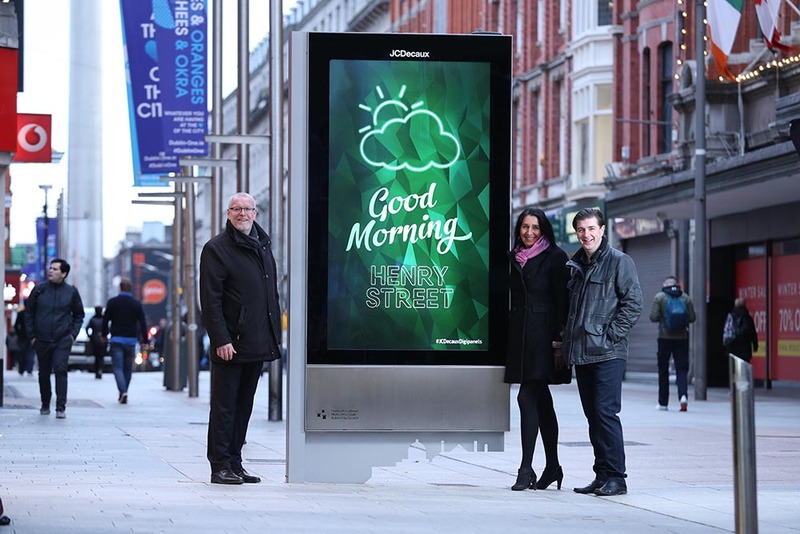 JCDecaux has launched a new network of 43 digital screens, called Digipanels, in Dublin city centre, replacing the pre-existing network of paper poster units. The introduction of Digipanels marks a number of significant firsts in the Outdoor market, according to JCDecaux. Up until now, Digital Out of Home (DOOH) networks have been in enclosed areas like shopping centres and transport hubs. 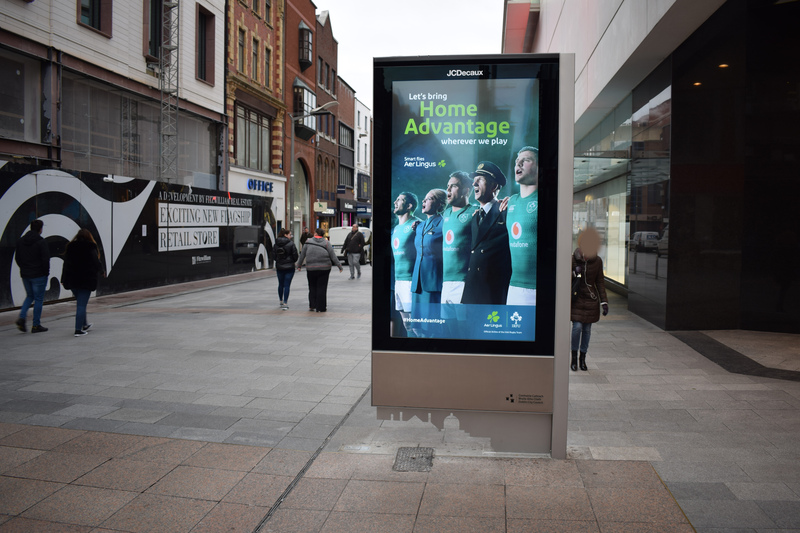 This is the first DOOH network in the Republic of Ireland which is on-street, giving advertisers access to substantial audiences in key commercial and highly sought-after areas in the city. The Digipanel screens are 86 inches making them the largest units of their kind in Ireland and pictures are broadcast in 4K, ultra HD. Campaign impact can be maximised by the ability to change the messaging in real time, according to the company. 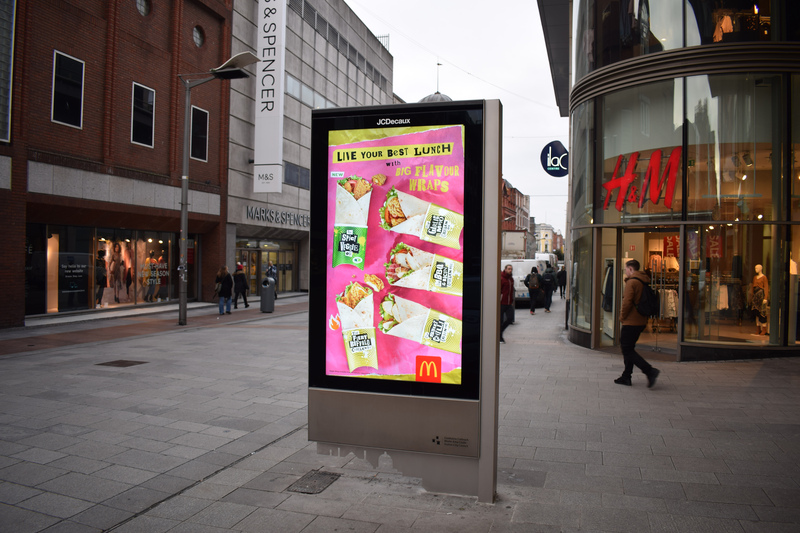 According to Pat Mannion, Commercial Director of JCDecaux:“the launch of Digipanels in Dublin is a further endorsement of our total commitment to the Irish advertising market. Giving advertisers a significant digital presence in premium locations on the streets of Dublin will change how we communicate with our audience. Our clients will have a new level of flexibility in how they use Out of Home. And there is a lot more to come from JCDecaux. Our network of 86-inch digital screens will continue to grow significantly with the introduction of digital bus shelters later this year”.